Unlike her pal, Ringo, Star would not be happy being a super social butterfly. 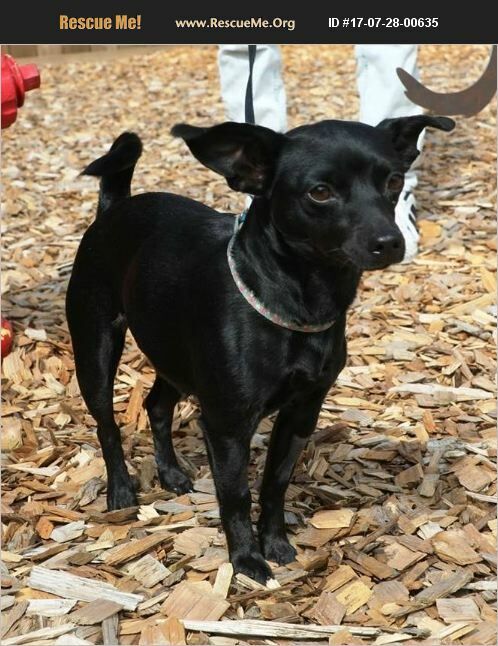 Star is clearly part chihuahua, but she also has long, long legs for a classic chi, so we guess that she is either mixed with an Italian greyhound, or is a deer-legged Chihuahua. This 2 year-old pup is sweet as honey and would prefer life to move forward as a lap dog. She is working on walking well on a leash, is easy to train and is housebroken. She is up to date on shots and spayed. While we cannot speak to her experience with cats, or chickens, or ferrets, we know that Star does NOT enjoy children. This pint-sized love bug needs a quiet home where she can be shown that the world is an okay place. Star does not bark and shows very little emotion. She will not defend herself when attacked/ bullied by another dog. Something has happened to this little girl and she needs the space and time and quiet (and the lap) to get back a life where she feels comfortable zoning out in a sunbeam and burrowing in blankets with her person nearby. Star currently resides at our Washington rescue. Adoption fee is $350.00. Transport may be available to approved adopters. Contact Journeyhomerescue@outlook.com.